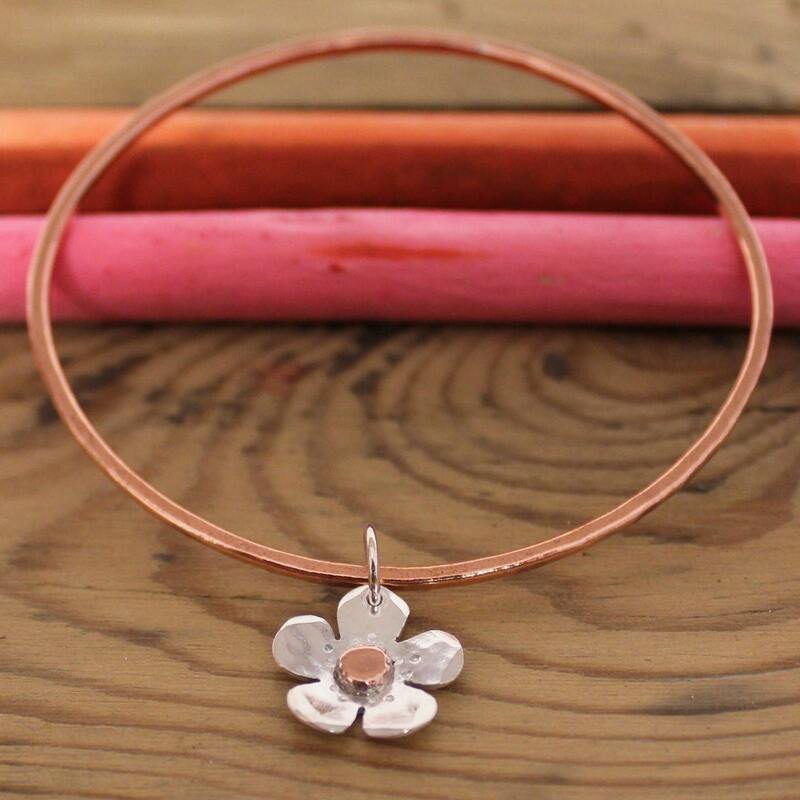 These lovely rustic silver daisy charms hang from a copper textured bangle, each piece is completely designed and handmade by myself. 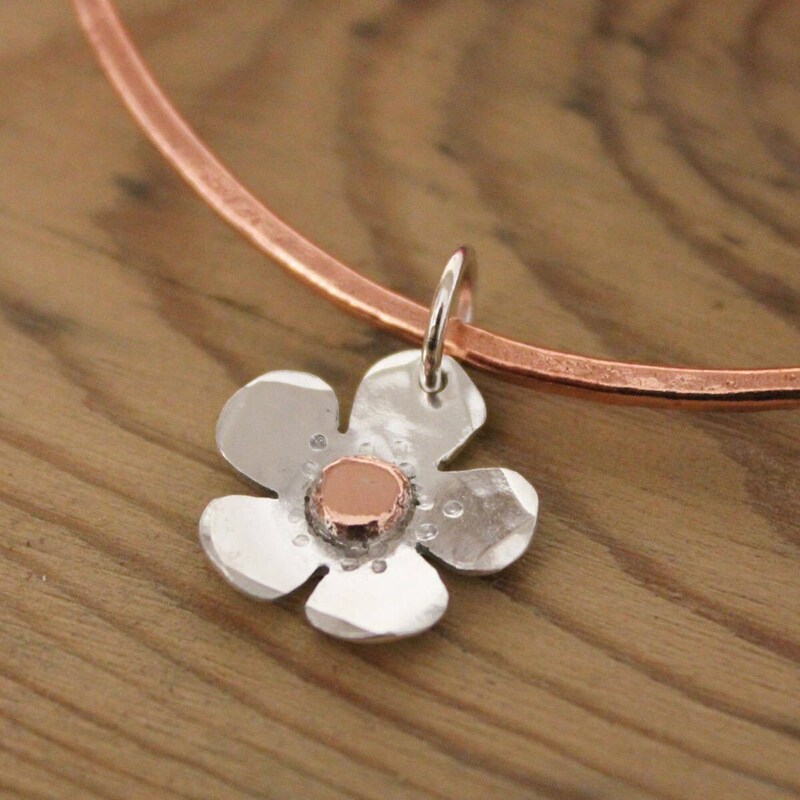 Perfect for bridesmaids gifts - Matching Rings available. 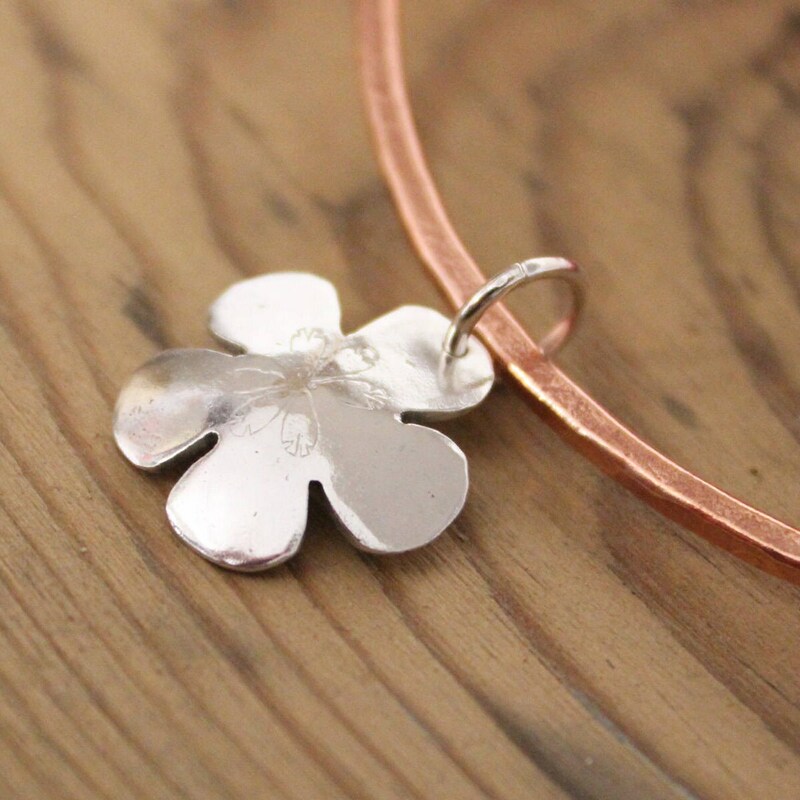 The sterling silver daisy charms look so modern and pretty against the copper bangle - Each daisy will vary slightly due to the rustic nature of the charms, they're stamped with my logo on the back for a handmade touch. If you have any queries about sizing please drop me a message. The easiest way to check your wrist size is to make all of your fingers into a point as you would to put on a bangle and measure around your knuckles. 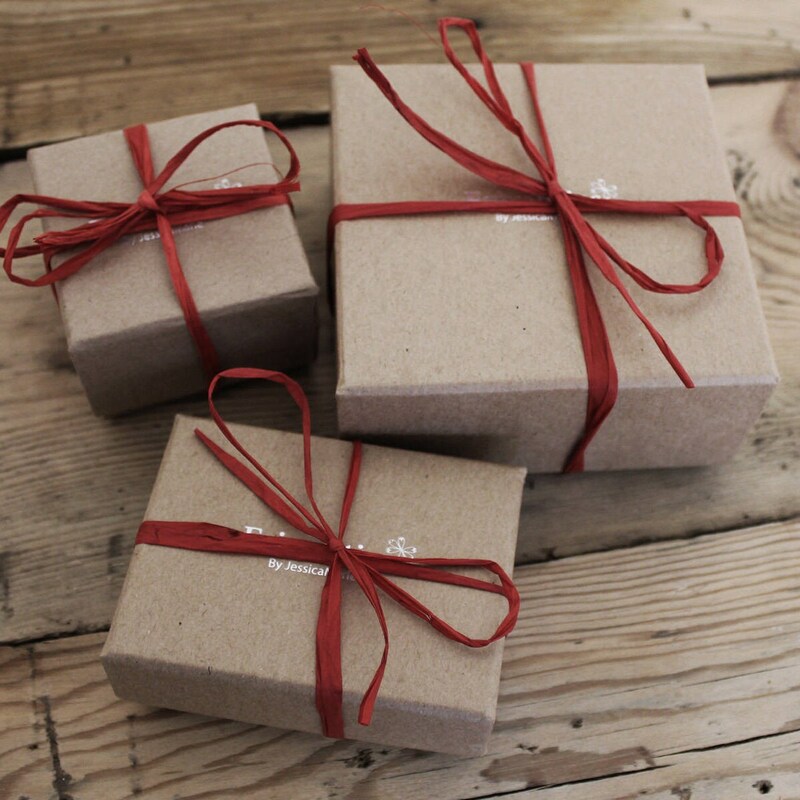 Your bangle will come packaged in a Frivolities Eco-Friendly recycled box, tied with a red bow.